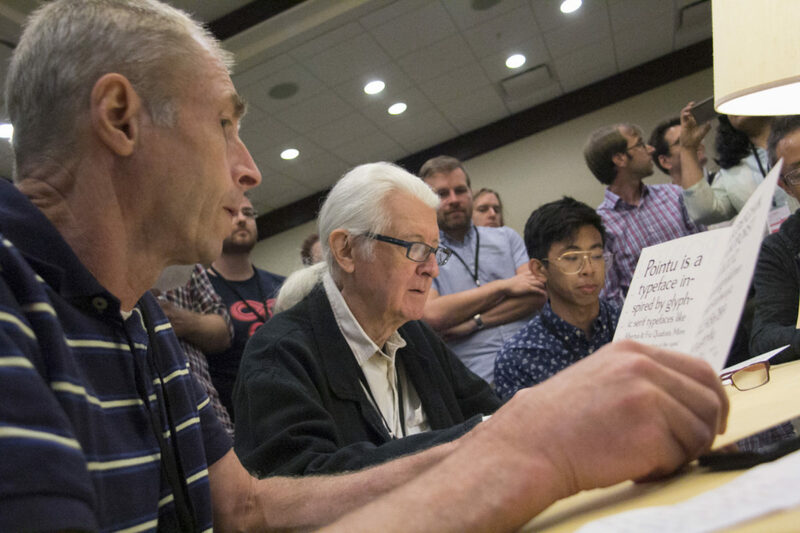 TypeCon | The Type Crit Rules! Our popular Type Crit is back in Portland, celebrating its seventeenth year of laying down the typographic smack. This year’s cast of crit’ers — Matthew Carter, John Downer, and Jill Pichotta — will provide gentle, constructive criticism to designers who submit their individual type designs for review. The Type Crit takes place Sunday, August 5th from 2:00 pm to 3:45 pm in the Forum Suite on the third floor of the Hilton Portland Downtown. If you are interesting in participating in this year’s Type Crit, please review the following guidelines. A sign-up sheet will be available in the SOTA Marketplace until Sunday morning. There are ten time slots available. Each critique will last approximately 10 minutes. Each typeface presented should be limited to one weight and style. No typeface families will be considered, due to time constraints. At least four printouts of proofs should be brought to the session. No laptop computers will be allowed for presentations. Hard copy only. Text faces should show actual text set at an appropriate range of sizes. Cameras and recording devices are welcome, but spectators won’t be guaranteed an advantageous place for viewing, so please arrive on time if you desire a good vantage point. Previous postCurious Creatures & Freakish Oddities Next postDDC Pop-Up Shop at TypeCon!